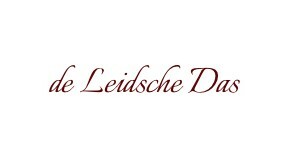 Does the Leidsche Das use a color system? Can you help making a necktie design? Are there any restrictions when making a necktie design? Is it possible to make the ties extra long? What are the dimensions of the neckties? Do i receive one free design? In what format should I submit my design? How are our ties delivered? Can I track my order after shipment? The Leidsche Das does indeed use a color system when designing the cufflinks, neckties and bow ties, namely the color system of Pantone. We can design your product in any Pantone color. Making an original necktie design can be tricky. We can help you with this free of charge. If you have any questions or need advice please contact us via the contact form. When making a necktie design as well as a bow tie design, almost anything is possible, think of different colors, logos, patterns and lines. Our ties are standard 148 cm, for most Dutch people this is the perfect size. Of course you can also have the ties made longer or shorter, your tie is custom made. Our usual tie is 148 cm long, 8 cm wide at its widest point and 3.5 cm at its narrowest point. Experience has shown that these sizes are the most popular. Of course you are not bound by this advice, everything to your design is up to you! No, the design process is very important to us and our designers will guide you through this process. In order to come to a unique design, a close collaboration between designer and client is essential. We want you to be satisfied with the final design and that’s why the entire design process is free of charge. You can supply us with your neckties or bow ties design with logo in any size, we are able to convert anything. Please note that you do not lower the quality. Within Europe we will send your order to you free of charge by courier. For deliveries outside Europe, additional shipping costs may be charged.